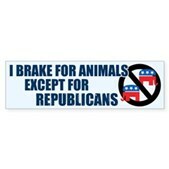 This funny anti-GOP sticker design reads "I Brake for Animals Except for Republicans." 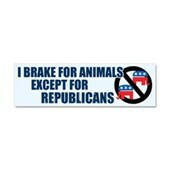 The text is accompanied with two GOP elephants being crossed out. 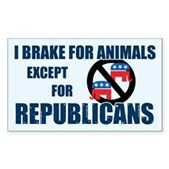 A great sticker to show how you feel about the Republican party!